Samsung’s finances are in a favorable position, for this quarter at least. Earlier today the Korean conglomerate issued official figures for the Q3 2015 ending September 31st. Highlights include 51.68 trillion won ($45.55 billion) in consolidated revenue and 7.39 trillion won ($6.51 billion) in operating profit. This translates to a 6% quarter-on-quarter increase. The success is primarily a result of semiconductor and display panel sales. Also mentioned was that operating profits increased 500 billion won ($440.6 million) from Q2 due to a favorable exchange rate. So beneficial was the weakened won that it translated to quarterly gains of approximately 800 billion won ($705 million), primarily from component sales. Particular attention was paid to the fact that Q4 is not expected to yield results of this nature due to a belief the exchange rate will not warrant such a positive impact. The mobile division posted 26.61 trillion won ($23.4 billion) in consolidated revenue and 2.40 trillion won ($2.11 billion) in operating profit for the quarter. 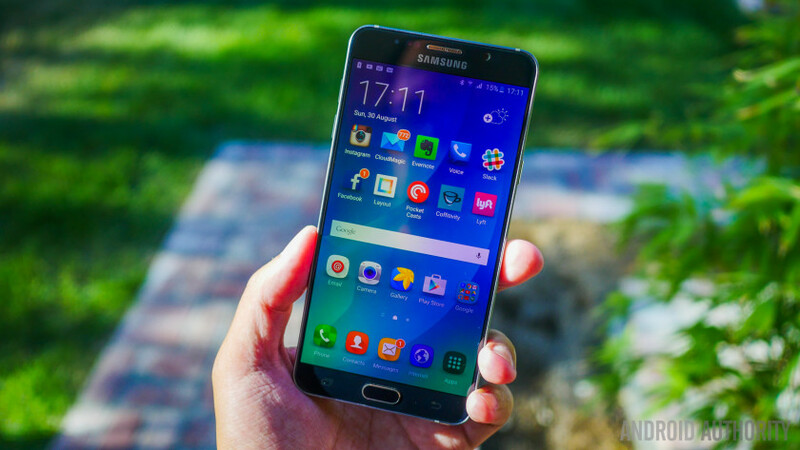 This was driven by sales of the Galaxy Note 5, Galaxy S6 Edge+, and both the Galaxy A and Galaxy J series. Profits actually decreased from Q2 due to price reductions on the Galaxy S6 and S6 Edge, and greater sales of non-premium hardware. Tablet-related sales was reported as in-line with that of last quarter. As of the time of writing, the stock value has increased approximately 1.3%. These figures are quite good for Samsung. There has been mounting speculation that its premium offerings this year have been unable to recapitulate the success of devices released in the past. In particular the fact that the Galaxy Note 5 has seen limited release, and all premium devices for 2015 to-date are devoid of both microSD support and a user-replaceable battery which has generated a visible outcry among some internet users. This quarter also marks another period in which Samsung goes head-to-head with Apple, as the latter company released its iPhone 6S and iPhone 6S Plus just a few weeks ago. Q4 will likely be met with further pressure from competitors via the LG V10 and even the HTC A9. Indeed Samsung’s success this period would appear to be largely based on sheer timing as the exchange rate is cited not only as a major contributor, but as a specific reason next quarter is not likely to offer as much good news. The clear listing of component and display-related business as driving the major sources of income further the belief that smartphones have become an omnipresent commodity of which progressively less people are willing to spend for cash-intensive purchases like flagships. Samsung’s commitment to trying new things (see the Galaxy View above), as well as increasing investments shows that it has a solid plan in the path forward. Ultimately only time will tell how successful that manages to be.